Crushed pineapple makes this Pineapple Carrot Cake Amish Friendship Bread recipe virtually identical to the traditional carrot cake. It makes a great breakfast, picnic snack, or party treat. Top this recipe with loads of fluffy cream cheese frosting and chopped walnuts and watch it disappear! 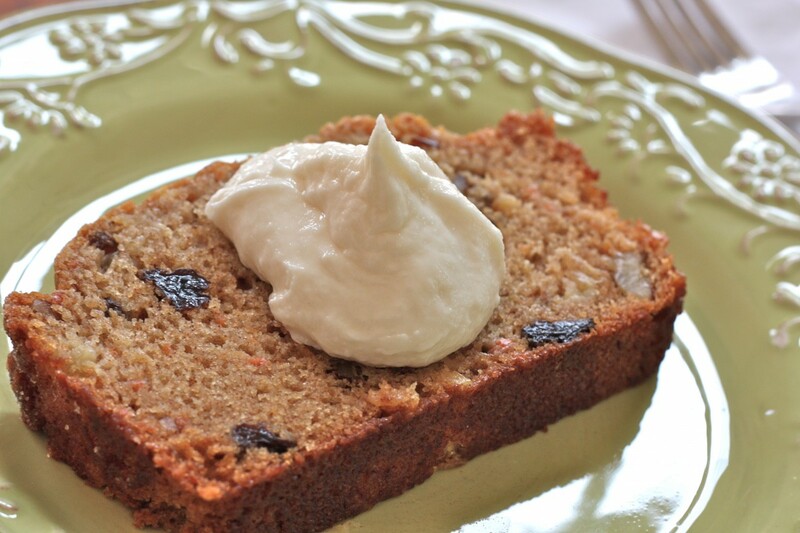 This Pineapple Carrot Amish Friendship Bread recipe is reminiscent of a traditional carrot cake with an Amish Friendship Bread twist. Dust the greased pans with cinnamon-sugar mixture of ½ teaspoon cinnamon and ½ cup sugar. OH MY GOODNESS. This is another recipe that has my name all over it!! Thanks for sharing. Can’t wait to try this tomorrow. I made these as muffins and they are so yummy! I cut back the sugar to 3/4 cup. Also good to mix the wets and drys separately first. With all the grated carrot, it can be hard to get everything mixed thoroughly. A friend gave me the starter and another gave me these recipes. I have made the carrot bread recipe also the cinnamon and chocolate. This recipe never fails me! And the starter is really fermented! Good eating and to share with all your friends! My mother used to make this all the time when I was younger . I am now on a mission to start making my own . She would just make the one kind . Boy-oh-boy am I going to have fun making the many different recipes . I’m so happy I found this website, Thanks bunches ! My husband hardly eats sweets except for his birthday. I always make a carrot cake with pineapple in it and homemade cream cheese frosting. I always make a 9×13 pan and it seems like a waste. I can’t wait to try this one!! I may make it for my coworkers too. For years I made Amish Friendship cakes, would share the start with friends who would ask for some with the recipe and a cake. Over the years stop making cakes and lost the recipe, so excite I found this site and recipe. My hubby it going to like this carrot cake with pineapple it’s sound wonderful.